Hey guys. 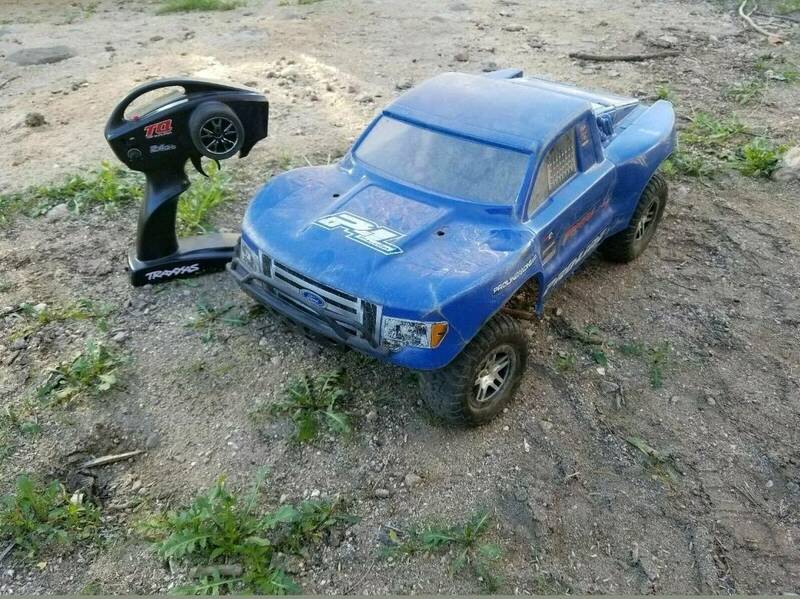 Bought my son a 2wd Slash last week used. 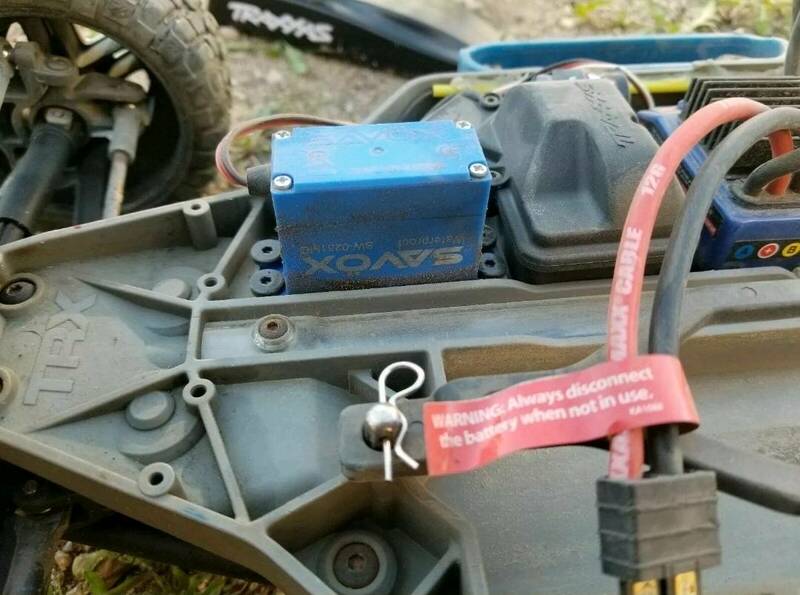 Bought some lipos and it has been a blast. The worst part is is that he won't let me have a turn. I have a birthday coming up but of course we're on a budget. 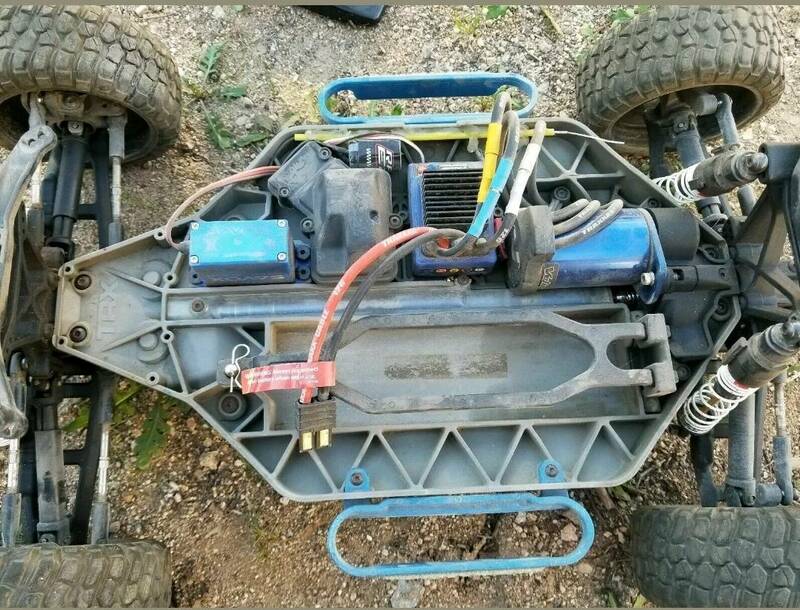 Then I found this on eBay. It sounds too good to be true but they have a money back guarantee so why not? A new BL Slash 4x4 up here is $550+tax. I just bought this for $90cad. I'm hoping it's worth it but I am new to this hobby (been flying helis for years). Any tips/suggestions/warnings/advice? I really wanted to get a BL 4wd but still wanted a Slash so my son is happy that we have the "same truck". I'll just be feathering the throttle (if this whole eBay sale works out). "Traxxas 4x4 Slash 1/10 RC Short Course Brushless Truck AS-IS . Condition is Used. Got this in a bundle a couple years ago. It was missing the transmitter, receiver, and servo. I put those in so now it is complete and those are basically new as I only used it a couple times. I do not have a battery to test it as mine are dead but last time I used it it worked flawlessly. Body is pretty beat up and so are the mounting posts along with wear on some of the plastic parts. Besides that its a great car, I just don't use it"
Last edited by t_dogg80; 04-07-2019 at 11:33 AM. For the price, you can't beat it. It actually has the older two pole motor system. It will work just fine. That 8s the exact same motor system I have in my newest Ultimate edition. You may want to get a TQi with Bluetooth transmitter eventually. I would run it until it breaks and fix it after it happens. Just so everyone knows I already got my money back. I emailed eBay that day to tell them. They acted very fast. What happened? What was wrong that you wanted your money back? "Theres not bad people, just bad choices." Yeah we missed a step somewhere. Please explain. Yea. We all did miss something. Whats up? What went wrong so we all can be aware. Someone showed me that this item was sold 3 times that day. I let ebay know and they cancelled and ordered a refund right away. That's sad you can't trust people now adays. Thank God for Ebay's 100% money back guaranteed. So what are you going to do now since that fell through? I went and bought myself this.